The Central Criminal Court of England and Wales is a court in London and one of a number of buildings housing the Crown Court. Part of the present building stands on the site of the medieval Newgate gaol, on a road named Old Bailey that follows the line of the City of London's fortified wall, which runs from Ludgate Hill to the junction of Newgate Street and Holborn Viaduct. 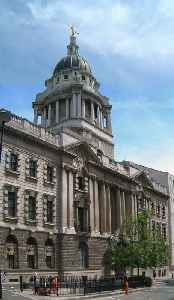 The Old Bailey has been housed in several structures near this location since the sixteenth century, and its present building dates from 1902.